Provide the best experience for our members. The bylaws are adopted by affirmative votes from a majority of the voting members of the PRMA present at the Annual Start-of-Season Association Meeting. Subsequent amendments to the bylaws will need to be approved by the voting members of PRMA. Amendments to the bylaws may be proposed by any PRMA member. Proposed amendments to the bylaws must be submitted to the Secretary for inclusion in the annual survey. All proposed amendments shall be highlighted in the Bylaws text until approved. PRMA formats in league play will be determined by the Tournament committee. At least half of the formats must be able to be recorded to the WSGA. The USGA Rules of Golf apply to play in the PRMA. Local rules, as indicated on the scorecard, are also in effect. It is the responsibility of all players to be familiar with the Rules of Golf. Any rules question or interpretation should be brought to the attention of the Executive Board members immediately after the completion of the match. The administrative officers of the PRMA consist of Executive Board members. 1. Preside as general supervisor at all PRMA meetings. 2. Appoint chairmen of standing committees, form ad hoc committees as needed, and serve ex-officio on all PRMA committees. 3. Call meetings of the PRMA and of the Executive Board. 4. Act as co-signer on checks drawn on the PRMA’s bank account. 5. Appoint an auditor at the end of the PRMA season to examine the records of the Treasurer. 1. Perform the duties of the President in the event of his unavailability or as requested by the President. 2. Serve ex-officio on all PRMA committees. 1. Receive all PRMA funds and deposit them in a bank account approved by the Executive Board. 2. Pay all bills incurred by PRMA. 3. Act as co-signer on checks drawn on the PRMA’s bank account. 4. Prepare a season opening financial statement to be submitted for review at the first Executive Board Meeting of the year. 5. Prepare a season ending financial statement to be submitted for review at the last Executive Board Meeting of the year. 1. Keep the minutes of all PRMA meetings. 2. Maintain the membership information listing. a. Receive list of candidates nominated for PRMA office from the Nominating and Election Committee. b. Present list of candidates to the executive board for review. a. Maintain the PRMA Bylaws. b. Receive proposed amendments to the bylaws from PRMA members. c. Submit proposed amendments for inclusion in the PRMA annual survey. d. Record tally of votes on proposed amendments. 5. Prepare and distribute regular PRMA correspondence to the Executive Board and PRMA members. Examples: Annual Newsletter, PRMA Tournament schedule and PRMA weekly formats. 1. Maintain all GHIN records including the activation and deactivation of GHIN accounts. 2. Calculate initial handicaps for new members. New members must submit score cards for at least three 18 hole matches. 3. Correspond with local news agency and distribute weekly results. 4. Post all individual match scores into the Washington State Golf Association (WSGA) computer. Members, who have not paid before the deletion deadline, April 15, shall be deleted from the WSGA computer. a: Handicap adjustment in all league night events, tournaments, peer review and expulsion from the league for repeat handicap violations. The President and Vice President will receive a salary equal to the league dues. The salary for Treasurer-Secretary and Handicap Chair will be based on the size of PRMA membership and will be at least $300 and no more than $450. a. Chairmen of committees shall be appointed by the President with the approval of the Executive Board. The President and Vice President shall be ex-officio members of all committees, except the Nominating Committee. The President may establish ad-hoc committees as deemed necessary. b. Chairmen appoint the members of their committees, and any PRMA member in good standing is eligible to serve on a committee. Tournament Committee: This Committee plans the arrangements for the Club championship, Border Tournament, announces the weekly sweep winners, and decides on the weekly formats. Arrangements include advertisement of tournaments, managing and scoring tournaments and fundraising. 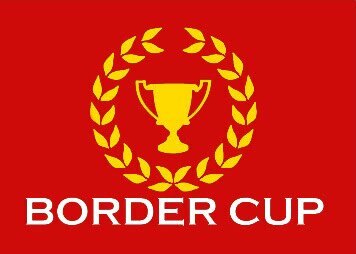 The tournament committee will work with Border Captain on the Border Tournament. Membership Committee: Increase membership by contacting prospective and past members through email and or mailings. Also, the committee will be involved with the Nominating committee. Nominating Committee: It shall be the duty of this Committee to develop a slate of at least two responsible and willing candidates for each office to be filled and submit the slate of candidates to the Secretary two weeks before the end of the season. At Large Committee: Duties will be variable such as helping the other committees and helping the Executive Board. The term of office for Secretary and Treasurer is two years. All other elected positions are one year and the Vice President will move to the President position. No board member shall serve more than two consecutive terms in the same office. The Nominating Committee will prepare the slate of candidates for each office to be filled. Only members in good standing are eligible to vote for board members. Resources of PRMA including but not limited to member personal information such as email address, phone number, or address is for the use of PRMA only. Members are not to use received emails to generate distribution lists for their own purposes. PRMA reverses the right to distribute via email information regarding non-PRMA activities to its membership. The PRMA executive board will decide what is suitable information to be distributed. To be suitable, the non-PRMA activity must not conflict with an announced PRMA activity and conducted within the local communities.